This article is about a company. For the ward in Tokyo, see Taitō, Tokyo. For other uses, see Taito (disambiguation). Taito Corporation (株式会社タイトー, Kabushiki gaisha Taitō) is a Japanese video game developer and publisher of arcade hardware and mobile phones, and an operator of video arcades. It is also a former publisher of home video games. Taito is wholly owned by Square Enix Holdings. Despite being a subsidiary to Square Enix Holdings, the parent company has kept the branding of Taito distinct from Square Enix. Taito is known for producing arcade games, such as Space Invaders, Bubble Bobble, and Arkanoid. Its arcade games found success around the world. Taito also imports and distributes American coin-op video games in Japan, where it owns several arcades, known as Taito Stations or Game Taito Stations. Taito has its headquarters in the Shinjuku Bunka Quint Building in Yoyogi, Shibuya, Tokyo, sharing the facility with its parent company. In the past, the company had operated divisions in North America, Brazil, South Korea, Italy, the United Kingdom and China. The company was founded in 1953 by a Ukrainian Jewish businessman named Michael Kogan as Taito Trading Co., Ltd. (台東トレーディング株式会社, Taitō Torēdingu Kabushiki gaisha). Taito started out importing and distributing vending machines. It was the first company to distill and sell vodka in Japan. Later, it began leasing jukeboxes and eventually started to manufacture its own. Taito began producing electro-mechanical arcade games in the 1960s. Taito changed its name from Taito Trading Company to Taito Corporation in August 1972 and introduced its first video arcade game in 1973. Several of its early arcade games saw release in North America by Midway, a Chicago area-based arcade manufacturer with strong ties to Taito. In 1978 Toshihiro Nishikado, a designer at Taito, created Space Invaders which became the company's most popular title and one of the most memorable games in arcade history, responsible for beginning the golden age of arcade video games. Taito opened in 1973 its Taito America division. In its first years, Taito America's sole purpose was to handle the licensing of Taito's video games to American third party publishers. It was not until the late 1970s that Taito America began to self-publish Taito's video games in North America. Initially based in Elk Grove Village, Illinois, Taito America relocated to nearby Wheeling in 1985. While the majority of Taito America's catalog were titles that were originally released in Japan by its parent company, it did also publish video games licensed from third-party companies, as well as games that were developed in the United States for Taito. In April 1986 and barely a month after becoming part of the Kyocera group, Taito merged with two of its subsidiaries, Pacific Industrial Co., Ltd. and the Japan Vending Machine Co., Ltd, and absorbed them both. Japan Vending Machine was once an independent company but was purchased by Taito in July 1971 to strengthen its presence in the operation of amusement facilities. Pacific Industrial was created by Taito itself in 1963 to develop products for the company. In August 1988, on the occasion of its 35th anniversary, the company changed its logo to the current one. In April 1988, Taito Software, the subsidiary of Taito America responsible for non-arcade operations, opened its own office in North Vancouver, British Columbia. While manufacturing and distribution of Taito arcade video games in North America continued to be handled in Wheeling, the North Vancouver unit became in charge of releasing video games for Nintendo's products and the computer market. In addition to its corporate offices in North Vancouver, Taito Software operated a distribution center in Bothell, Washington. By early 1991 Taito Software had completely shut down, and publishing of home video games returned in Wheeling. Taito America ceased operations in July 1996 after more than 20 years of existence. Taito had already sold exclusive rights for publishing its games in America to Acclaim Entertainment the previous year. Similarly, a division existed in London, England, United Kingdom to distribute Taito games in Europe. Taito (Europe) Corporation Limited was created in 1988 and liquidated in February 1998. Taito has developed many arcade video games. Space Invaders (1978) is most notable; other titles include Speed Race (1974), Gun Fight (1975), Qix (1981), Jungle Hunt (1982), Elevator Action (1983), Buggy Challenge (1984), Bubble Bobble (1986), Takeshi no Chōsenjō (1986), Chase H.Q. (1988), Puzznic (1989), Kick Master (1992), Gun Buster (1992) and Puzzle Bobble (1994). Taito also had a license from Hanna-Barbera to produce games based on The Flintstones and The Jetsons. Several of Taito's video games that were released for the Famicom and the Super Famicom in Japan were a joint venture with Disco Corporation. Disco Corporation was established in July 1972 by Taito as a subsidiary to import and sale home electronic products. As of 2003, Disco's main activities were the development, sales and handling of licenses of computers, peripheral devices and software. In 1992, Taito announced a CD-ROM-based video game console named WOWOW, that would have allowed people to play near-exact ports of Taito's arcades (similar to the Neo Geo), as well as download games from a satellite transmission (as the Satellaview would do later). It was named after the Japanese television station WOWOW and would have utilized its stations to download games. The WOWOW was never released. When Taito was owned by Kyocera, its headquarters were in Hirakawachō, Chiyoda. Taito entered the Tokyo Stock Exchange in January 1993, listed in the Second Section. It transitioned to the First Section in September 2003. In October 2000, Taito merged with Kyocera Multimedia Corporation to enter the market of mobile phones for the first time. On August 22, 2005, it was announced that the gaming conglomerate Square Enix would purchase 247,900 Taito shares worth ¥45.16 billion (US$409.1 million), to make Taito Corporation a subsidiary of Square Enix. The purpose of the takeover by Square Enix was to both increase Taito's profit margin exponentially as well as begin its company's expansion into new forms of gaming (most notably, the arcade scene), and various other entertainment venues. The takeover bid from Square Enix was accepted by previous stockholder Kyocera, making Taito a Square Enix subsidiary. On September 22, 2005, Square Enix announced successfully acquiring 93.7% of all shares of Taito, effectively owning the company by September 28, 2005. By March, 2006 Taito became a subsidiary wholly owned by Square Enix and was delisted from the First Section of the Tokyo Stock Exchange. Square Enix announced on July 28, 2008, that it would liquidate two subsidiaries of Taito, Taito Art Corporation (an insurance and travel agent subsidiary) and Taito Tech Co., Ltd. (an amusement and maintenance subsidiary) on the grounds that both had fulfilled their business purpose. The process ended in October 2008. In February 2010, Taito's unit for home video games split into a separate company called Taito Soft Corporation (not to be confused with Taito Software, the North American division of the late 1980s). On March 11, 2010, Taito Soft was folded into Square Enix. All of Taito's franchises for video game consoles in Japan are since published by Square Enix. On November 30, 2016, Taito announced that it will distribute Space Invaders and Arkanoid for Facebook with Instant Games on Facebook Messenger and Facebook News Feed. On July 3, 2018, Taito announced in Famitsu that it will return to the software publishing business for the eighth generation of video game consoles. The intention to return to the home console market came about because the company decided that it would be necessary to release Taito's intellectual properties on current platforms in order to increase profit. The company has various properties planned in its software pipeline, from re-releases to new titles for various platforms; however, Taito highlighted that the console software market is a challenging business for the company. Taito intends to develop original games for consoles in the future. Taito Corporation has incarnated three different companies over the course of its existence. 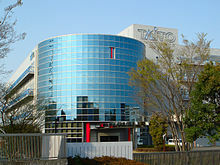 The mergers conducted in 2006 and 2010 were achieved in order for Taito to adapt to the business requirements of its parent company, Square Enix. The company was founded as "Taito Trading Company". In 1972, the name of the company was changed to "Taito Corporation". In March 2006, Square Enix, which already owned 93% of the company, wanted to make Taito a wholly owned subsidiary. To accomplish this goal, Square Enix merged Taito into SQEX Corporation. Although the combined company took on the name "Taito Corporation", it was actually Taito that was dissolved and SQEX that was the surviving entity. SQEX was established on June 22, 1999, under the name The Game Designers Studio as a shell corporation of the defunct Square Co, Ltd. It was renamed to SQEX Corporation in 2005 once Square was absorbed Enix and purchased the company as a subsidiary. The Game Designer Studios was used by Square in order to exploit the loophole with its exclusivity deal to develop for Sony's PlayStation consoles. Square Enix Holdings wanted all of its arcade operations to be regrouped into one subsidiary. And so, the third and present Taito Corporation came to being on February 1, 2010, by merging Taito Corporation (formerly SQEX/Game Designers Studio) with ES1 Corporation. In an "absorption-type company split" move, Taito Corporation (the second company) was split as a separate company and renamed Taito Soft Corporation, while ES1 Corporation was renamed "Taito Corporation" (the third company). During the merger with Taito Corporation (the second company) to become itself the new Taito Corporation, ES1 inherited all of Taito's arcade and mobile businesses, and nearly the totality of its employees. On the other hand, Taito Soft Corporation (formerly SQEX) was left with 10 employees to concentrate exclusively on the development and publishing of video games for home consoles. Taito Soft Corporation was eventually merged into Square Enix in March 2010 and dissolved. ES1 Corporation was established on June 1, 2009, as an operator of arcade facilities. ES1 Corporation was owned by the shell company SPC1, itself a wholly owned subsidiary of Square Enix Holdings. SCP1 dissolved when ES1 became Taito Corporation in February 2010. As such, the current Taito Corporation is technically the company formerly called ES1 Corporation. ^ "Square Enix Holdings Announces Management Changes of Taito Corporation" (PDF). Square Enix Holdings. 29 February 2016. Retrieved 29 February 2016. ^ "TAITO CORPORATION Announces Management Change" (PDF). Taito. 28 February 2017. Retrieved 2 April 2017. ^ "Company Overview Archived 2011-07-16 at the Wayback Machine." Taito Corporation. Retrieved on January 30, 2011. "Head Office 15F, Shinjuku Bunka Quint Bldg,3-22-7 Yoyogi,Shibuya-ku,Tokyo 151-8648,JAPAN." ^ "Looking At Taito's history As They Turn 60". August 13, 2003. Retrieved 2015-09-13. ^ "The Golden Age Arcade Historian - Video Game Firsts". All In Color For A Quarter. 23 November 2013. ^ a b c d "Taito History". Sanbou. 2002. ^ a b "Taito Corporate History". Taito Corporation. ^ "Game Industry Rebounds". GamePro. No. 88. IDG. January 1996. pp. 22–23. ^ "Jupiter Strike". Next Generation. No. 15. Imagine Media. March 1996. p. 81. ^ "Disco and Wirebee Collaborate to Deliver Superscape Swerve 3D Applications to Japanese Mobile Marketplace". Superscape. 5 March 2003. ^ Hernandex, Christopher. "Taito WoWoW". PSXFantatics.com. Archived from the original on 2003-03-21. Retrieved 2007-08-26. ^ "Taito Corporate History". Taito. Retrieved 2 April 2017. ^ Jenkins, David (August 22, 2005). "Square Enix Makes Bid For Taito". Retrieved 2007-08-26. ^ "Square Enix ready to acquire Taito". The Japan Times. 23 August 2005. Retrieved 2 April 2017. ^ Carless, Simon (September 22, 2005). "Square Enix Nears Takeover Of Taito". Retrieved 2007-08-26. ^ Klepek, Patrick (September 28, 2005). "Square Enix Swallows Taito". Archived from the original on March 29, 2012. Retrieved 2007-08-26. ^ a b c d e "Square Enix To Make Taito A Wholly-Owned Subsidiary" (PDF). Square Enix Co., Ltd. 12 December 2005. Retrieved 1 November 2016. ^ "Notice regarding Dissolution and Liquidation of Subsidiaries" (PDF). Square Enix Co., Ltd. 28 September 2008. Retrieved 28 September 2008. ^ "Taito Corporation - Notice of Inquiry Change". Taito Corporation. 2006. Retrieved 11 March 2010. ^ "Timeless Classics "Space Invaders" and "Arkanoid" Heading "Instant Games" on Messenger and Facebook News Feed" (PDF). Taito. 30 November 2016. Retrieved 2 April 2017. ^ "Ninja Warriors Again announced for Switch". Gematsu. 3 July 2018. Retrieved 7 July 2018. ^ "IGN - Sony buys stake in Square". IGN.com. Retrieved 2013-12-25. ^ a b c d e f g h "Notice of an Absorption-type Company Split Between Taito Corporation and ES1 Corporation" (PDF). Square Enix Holdings. 27 November 2009. Retrieved 1 November 2016. This page is based on the Wikipedia article Taito; it is used under the Creative Commons Attribution-ShareAlike 3.0 Unported License (CC-BY-SA). You may redistribute it, verbatim or modified, providing that you comply with the terms of the CC-BY-SA.